The 'Rickmobile' from 'Rick and Morty' is coming to Philly. Fans of "Rick and Morty" on Adult Swim: Mark your calendars. 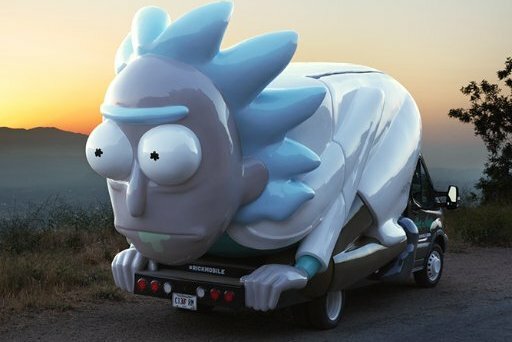 The animated show is bringing its "Rickmobile" — a mobile store that looks like one of the titular characters — across the country, including a stop in Philly. The store will be at Tattooed Mom on South Street on Tuesday, May 23. The show's website reads: "Come see the world biggest Rick! That's actually a truck, but also a store!" Details for the Philly event are unclear, but according to a Facebook event for an upcoming stop in Atlanta, the truck will be carrying limited quantities of merchandise and will only accept credit cards. Find more info on the show's website here.